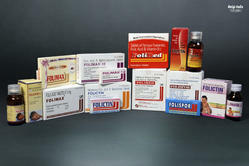 Offering you a complete choice of products which include allopathic tablets. We offer premium quality Allopathic Tablets to our valuable customers. Procured from trusted, certified and authorized vendors, these tablets are processed in compliance with the FDA set standards at the vendors’ end. Available with us at industry leading prices, these tablets are highly appreciated among our customers. Provides the natural but "Strong Probiotic Support"